Clostridium difficile is an important cause of diarrhoea, particularly in patients receiving antibiotic therapy. Recent studies have shown that a substantial proportion of C. difficile infections are acquired in the community, as a zoonotic disease. Brazil is a large exporter of meat and so far no study has evaluated meat contamination with C. difficile spores. Here we analysed 80 retail meat products purchased from local supermarkets in a Brazilian metropolis (Porto Alegre, Southern Brazil). Samples from these products were grown in anaerobic conditions, and tested with a real time polymerase chain reaction test. Contamination with C. difficile spores was not found in the study. Bacteria isolated from meat included Streptococcus gallolyticus, Lactobacillus plantarum, Enterococcus gallinarum and Pediococcus acidilactici. Close vigilance is required in order to guarantee the quality of Brazilian retail meat in the long term. There are reports of genetic overlap between toxigenic C. difficile strains isolated from animal and humans, suggesting that the transmission of the pathogen may occur as a zoonotic disease process. Reported prevalence ranges from 2% to 20% in different countries and meat categories. Brazil is the largest beef exporter in the world, with approximately US$ 500 million per month in global trade exports. The per capita meat consumption in Brazil is 95.9 kilograms per inhabitant/year, including consumption of poultry, pork, beef and veal.3 The Southern region of the country accounts for more than 70% of the total beef exported and has C. difficile as an emerging pathogen in hospitalized patients. Therefore, an evaluation of this potential reservoir is needed at short notice. Here we aimed to estimate the frequency of contamination with C. difficile in different types of retail meats ready for consumption in a large metropolis in Southern Brazil. To assess C. difficile contamination in retail meat products, ready-for-consumption packed meat was purchased in four large markets in Porto Alegre, Brazil, in May 2017. Beef, pork, chicken, and hamburger products were analyzed, totalling 80 meat samples. These meats were purchased in local super markets and random samples were obtained from several points of each of the meat samples. Meat products were stored in a refrigerated thermal box and processed on the same day of purchase at the Molecular Biology Laboratory of Santa Casa de Misericordia de Porto Alegre. Molecular tests were performed using a GeneXpert modified protocol for tissue. In summary, 5 g of meat were obtained from each of the samples. Tissue was ground and homogenized in PBS, placed in 4% NaOH (1:1 ratio), kept at room temperature for 15 min and centrifuged at 1300 × g for 15 min. The supernatant was then discarded, resuspended with 1 ml of PBS and the remainder transferred to the Elution reagent from the GeneXpert Kit and then this solution was transferred to the GeneXpert cartridge (Xpert®C. difficile test, Cepheid, Sunnyvale, CA). C. difficile laboratory detection was based on real-time polymerase chain reaction (qPCR) testing for C. difficile toxin genes. In addition, samples were also submitted to C. difficile culture, as follows4: 2 g of each sample were incubated in thioglycolate broth for seven days under anaerobic atmosphere. The thioglycolate test was performed with the ATCC strain and with faeces samples known to be C. difficile contaminated. The growth was very satisfactory. No germination factor but sporulation was used, which was the alcohol shock. After incubation, an aliquot of the broth was removed and the absolute alcohol shock treatment (1:2 proportion) was carried out for 30 min at room temperature. After centrifugation, the supernatant was discarded. The sediment was subcultured in CM0601 C. difficile agar (Oxoid), enriched with 7% blood horse, D-cycloserine and cefoxitin for 48 h in anaerobic atmosphere. The growth was very satisfactory (the microbiological load was high). For validation of protocols, meat samples were contaminated with C. difficile strains and tested by culture and PCR. Both protocols were validated and used as positive control. We analyzed 80 retail meat products. No contamination by C. difficile was detected in neither culture or PCR in the study. Six samples showed suspicious growth in the culture and were identified by MALDI-TOF MS as Streptococcus gallolyticus, Lactobacillus plantarum, Enterococcus gallinarum, and Pediococcus acidilactici. In a study performed in the USA using uncooked (ground beef, ground pork, ground turkey, pork sausage, and pork chorizo) and ready to eat (beef summer sausage, pork braunschweiger) meat products, prevalence rates were striking at 40.0%–62.5% (depending on product category).5 Another study analyzed 1755 retail meats and found results similar to ours, with C. difficile not being detected in any of the meats.7 The profound contrast in these results occurred possibly because of differences in methods, type of meats sampled, or even national or geographic variations. Since CDI is an emerging (and neglected) problem in Latin America,8 this work can contribute to enhance focus in hospital transmission and other potentially environmental sources. Even though our study evaluated a relatively small number of meat samples, total absence of C. difficile is an important result regarding food safety. C. Rodriguez, B. Taminiau, J. Van Broeck, M. Delmee, G. Daube. Clostridium difficile in food and animals: a comprehensive review. Surveillance for community-associated Clostridium difficile – Connecticut, 2006. A. Rodriguez-Palacios, R.J. Reid-Smith, H.R. Staempfli, et al. Possible seasonality of Clostridium difficile in Retail Meat, Canada. J.G. Songer, H.T. Trinh, G.E. Killgore, A.D. Thompson, L.C. McDonald, B.M. Limbago. Clostridium difficile in retail meat products, USA, 2007. M. Warny, J. Pepin, A. Fang, et al. Toxin production by an emerging strain of Clostridium difficile associated with outbreaks of severe disease in North America and Europe. B. Limbago, A.D. Thompson, S.A. Greene, et al. Development of a consensus method for culture of Clostridium difficile from meat and its use in a survey of U.S. retail meats. R.N. Pires, A.A. Monteiro, L.C. Carneiro, et al. 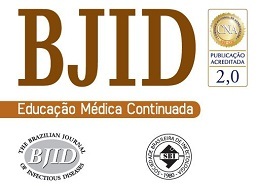 Clostridium difficile infection in Brazil: a neglected problem?.